﻿ Relais Modern Florence. JIMAT di Agoda.com! Jika apa yang anda cari adalah hotel dengan lokasi menyenangkan di Florence, cuma perlu lihat Relais Modern. Dari sini, tetamu boleh menikmati akses mudah kepada semua yang bandar meriah ini boleh tawarkan. Bagi anda yang ingin pergi agak jauh, Taman Botani, Biara dello Scalzo, Muzium Sejarah Alam merupakan beberapa daya tarikan untuk pelawat. Ambil kesempatan daripada pelbagai perkhidmatan dan kemudahan yang tiada tandingan di hotel Florence ini. Kemudahan utama hotel termasuklah Wi-Fi percuma dalam semua bilik, daftar masuk/daftar keluar ekspres, simpanan bagasi, parkir valet, tempat letak kereta. Suasana Relais Modern terpancar di dalam setiap bilik tetamu. pendingin hawa, pemanas, bar mini, telefon, televisyen hanyalah sebahagian daripada kemudahan yang boleh didapati di hotel tersebut. Sepanjang hari anda boleh menikmati suasana yang santai dengan urut. Relais Modern merupakan pilihan yang bijak bagi pelancong ke Florence, menawarkan penginapan yang santai dan mudah setiap kali. Travellers need to be aware that the hotel does NOT have twenty four hour staff. The owner/manager lives else where. staff only there from 8am till 1pm. A contact number should be available at all times., and issues rectified a.s.a.p. Overall a good stay. Not traditional hotel as Reception only open till 1pm. Contemporary clean arty decor. 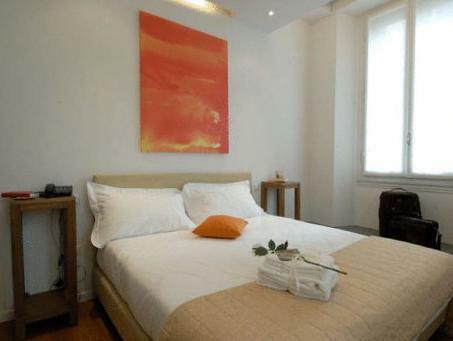 Good sized rooms (we booked three rooms for single use) with comfortable large beds and excellent shower. Helpful manager who pre-booked museums (essential) for us and gave good tips for local Tuscan restaurants and getting around. Nice continental breakfast. Only five minutes walk to piazza San Marco and Accademia and few minutes further on to Doumo - so close to the Historical Centre but it was nice to be in a less frenetic part of the city. Good location for bus stops eg to Piazzalle Michelangelo and Fiesole and Hop on Hop Off bus. Same street as Botanical Gardens. I used this hotel again. My only criticism is that there is no back up from management if services fail after 1pm. We came back one afternoon to discover there was no hot water or internet and management (when finally tracked down) could not attend to sort out the problem which is simply not good enough for accommodation of this ranking and price. Our Florence highlights were views from Piazzale Michelangelo and San Minialto church and David at Accademia. Fabulous food and crazy staff at Trattoria Tito (nearby) and lunch at Note De Vino in Borgo de Greci just off Piazza di Santa Croce. Seek out 'historic shops' http://www.firenzeturismo.it/en/vivi-firenze-2/shopping-2/esercizi-storici-2.html for interesting shops with local produce. I arrived quite late and forgot to tell the host about my travel arrangement. The staffs did their best effort to reach me and try to check me in even its in Christmas eve. I arrived quite late and forgot to tell the host about my travel arrangement. The staffs did their best effort to reach me and try to check me in even its in Christmas eve. The location is not very closed to the railway station which takes ard 20 minutes to get there, while it is quite near the main sightseeing point such as Daivid sculpture. Wifi signal is not very good and the cleanness is just satisfactory as I found the tower or facilities are a bit worn. Overall speaking, it is okay as a B&B with reasonable pricez. Short but sweet stay in this hotel, good breakfast and close to train station. Staffs are very friendly and will give you a quick guide on how to explore the city, florence. Breakfast is simple. Location is about 10-15min walk to the duomo. 10 minutes walking to famous spots. Old building with modern decoration. Friendly staffs. 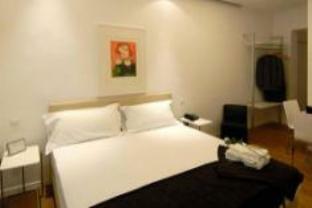 good location to city center , modern room in old buidling, nice staff. Clean, reasonable prize and conveniently located near attraction. Only downside was being in the front room by the road was a bit noisy, but this may not bother some people (I am a light sleeper). Breakfast was good by Italian standards. They said a 10-15 min walk to town, but it's much quicker! Only just down the road. The decor of the hotel was very hip and modern. Staff were really friendly and helpful, they helped us to make call to restaurants for reservations. Room was big and comfortable, with air conditioning. Breakfast was great but there were not many selections. 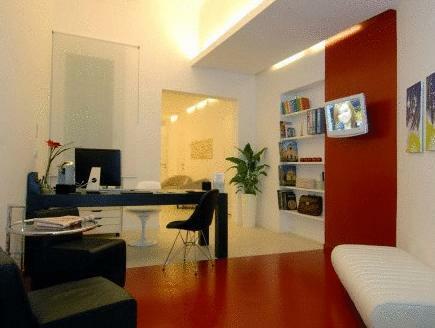 Overall, a good place is stay if you are staying in Florence for a night or two. We only stayed here for one night since we book another B&B for 2 nights in Florence. But we are so regard that we didn't select Relais Modern. Although it is a little bit far away from train station, however, it is close to the heart of Florence, just 5 minutes walk from most of the landmarks and meseum. 무엇보다 깨끗합니다. 인테리어도 세련되고 매니져가 영어를 아주 잘하고 친절합니다. 아침식사도 작지만 깔끔한 식당에서 간단하게 할 수 있습니다. 호텔은 중앙역에서 가깝지는 않지만 호텔의 다른 장점들로 인해 충분히 커버할 수 있습니다. 여행객에게 또는 허니문으로 비지니스분들이 모두 만족할만한 것같습니다. Exelente hotel, para estar en VEnezia cerca de todo, esta cerca de la estación santa lucia como de plaza san pedro (vas caminando) si vas 2 dias, conviene pagar el precio para hacer todo venezia.